There is a new category of startups — like Lookout Security, NowSecure, and Skycure — who have begun to provide defense in depth for mobiles. Another player in this space is Check Point Software, which has rebranded its Mobile Threat Protection product as SandBlast Mobile. I took a closer look at this product and found that it fits in between mobile device managers and security event log analyzers. 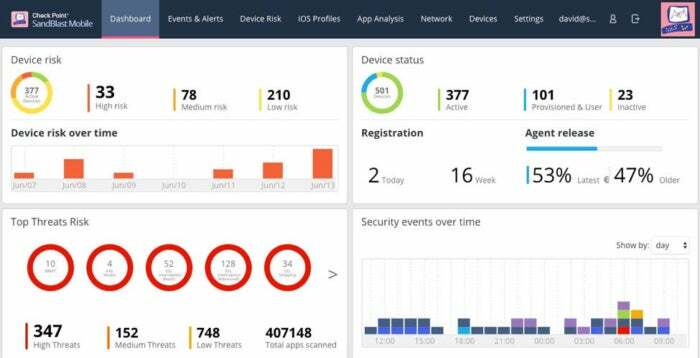 It makes it easier to manage the overall security footprint of your entire mobile device fleet. While I had a few issues with its use, overall it is a solid protective product. You can read my review in CSOonline here.